Safety First. That’s How We Roll! Since, 1994, Kids-Kab has been serving the children and parents of the Western Suburbs of Chicago. Kids-Kab is a safe, affordable, and reliable transportation service that chauffeurs children where they need to go. New Family Owners…SAME Great Family Service! Kids-Kab was founded in 1994 because even though parents are their children’s heroes, they couldn’t be everywhere at one time. Even heroes need a sidekick…that’s where Kids-Kab comes in. 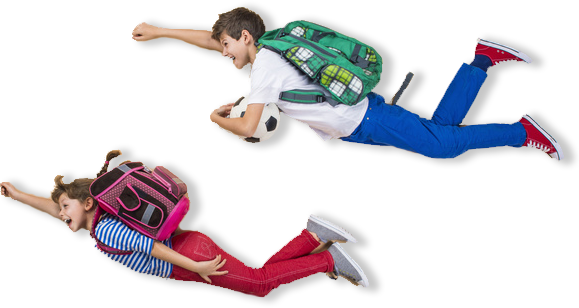 Do you need help taking your kids to school, daycare, music lessons, sport activities, tutors, or other after school activities? Let us do the driving. We also provide group trips to birthday parties, field trips, concerts, sporting events, and family reunions. Before we take off, the seatbelt goes on. SAFETY matters! Every child is always seated in an age and weight-appropriate car seat/booster chair. (*Car Seats and Booster Chairs may need to be provided by the parents). Children are never left unattended when they are under our care. We treat every child the way we would want our family to be treated. We make every possible effort to meet the parent and the children, as well as any other receiving adult, prior to the start of our service. All of our vehicles are supplied with location devices in real time so that we always know where your child is when in our care.